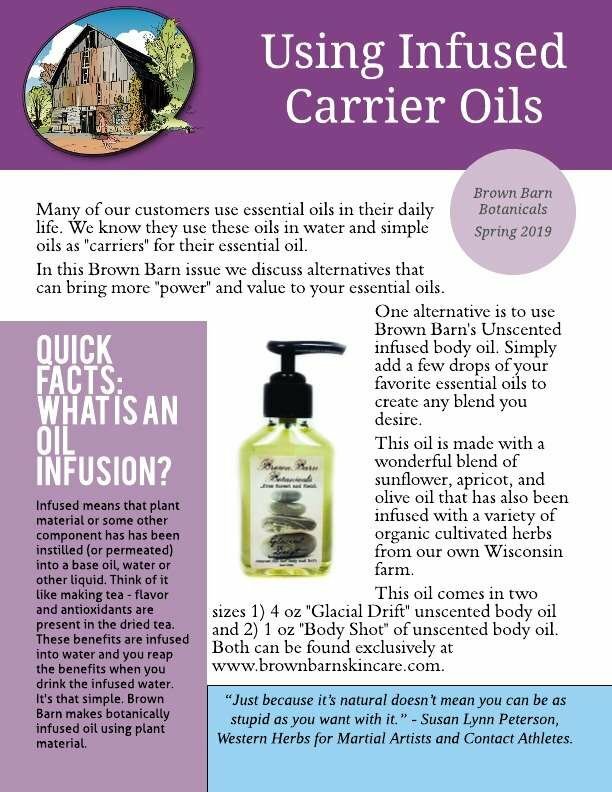 Get access to our best tips for using Brown Barn's fine unscented bath & body oils to elevate the effectiveness of your essential oil collection in this Special Brown Barn Issue. Get all the good stuff delivered to your Inbox. Signing up for the Brown Barn Guide to using Brown Barn Infused Carrier (Bath & Body) Oils also signs you up for other emails from Brown Barn. If you decide you no longer want to receive emails from us - no worries - just click the "unsubscribe" link at the bottom of any email.